DINNER MENU STARTERS Lamb Kebab Halabi Israeli Cucumber & Tomato Salad Served with Riata Sauce Jerusalem Meze Tapas Pickled Vegetables, Charred Eggplant Salad, Jerusalem Hummus & Grilled Naan DINNER ENTREES Pan-Seared Scottish Salmon with Chraimeh Sauce Mujaddara Rice, Garlic-Scented Haricot Verts & Fresh Coriander Roasted Apricot & Garlic Free Range Chicken Braised Carrots, Tomatoes, Turmeric & Green Peas, Paprika & Israeli Couscous Yemenite Braised Lamb Shank Fried Cauliflower, Chickpeas Stew & Fresh Parsley DESSERT Goat Cheese Crème Brûlée Honey Pistachios & Dates Lemon Poppy Seed Olive Oil Cake & Pomegranate Sorbet LUNCH ENTREES Pomegranate-Glazed Salmon Skewer Tabouleh Salad, Roasted Red-Yellow Peppers, Grilled Red Onions & Naan Harif Grilled Chicken Israeli Couscous Pilaf with Baby Kale, Sumac Onions, Riata Cucumber Sauce & Crispy Halloumi Cheese DESSERT Goat Cheese Crème Brûlée Honey Pistachios & Dates Lemon Poppy Seed Olive Oil Cake & Pomegranate Sorbet Michael’s Epicurean Adventures present culinary journeys to a new destination each month. The Israeli Epicurean Adventure dinner menu will be available Monday through Saturday, April 4-31. 2016. The two-course lunch offering is available Monday through Friday, 11:30 a.m. to 2 p.m. Restaurant reservations are highly recommended. Please call 941-366-0007, ext. 224 or click here for online reservations. Each year, we invite you to travel with the Klaubers as part of the over-the-top Gulf Coast Connoisseur Club excursions to the world's greatest food and wine destinations! If you are considering an escorted trip, but don't have the pleasure of knowing Michael and Terri personally yet, here's a little background about your hospitable hosts! 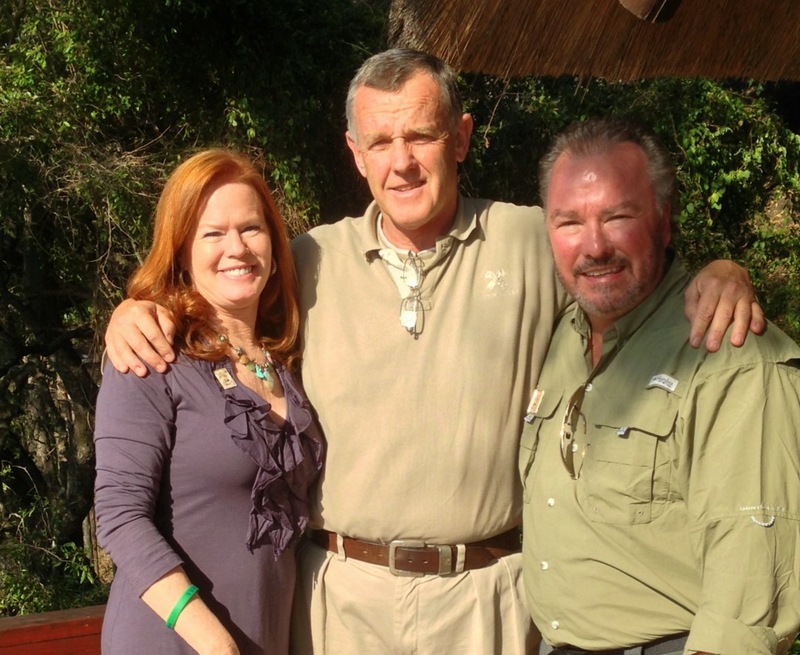 Meet Michael & Terri Klauber The Klauber family is known as exceptional hosts and experts in the world of hospitality! Michael Klauber is a seasoned, award-winning restaurateur and wine professional with over 30 years experience in all aspects the restaurant and retail wine & spirits industry. Michael and his wife Terri are avid world travelers and have hosted numerous in-depth culinary and wine-focused Gulf Coast Connoisseur Club. The annual Connoisseur Club trips, open to all current or future Club members, have explored the culinary landscape in South Africa, Chile, Argentina, Southeast Asia, the Baltic, Russia, France, Spain, Napa Valley and New Zealand, experienced the region’s most renowned wineries on each expertly-escorted trip. Michael is co-proprietor of Michael’s On East, Sarasota’s most renowned fine dining establishment, which is a member of The Fine Dining Hall of Fame by Nation's Restaurant News, Florida’s Trend’s Golden Spoon Hall of Fame member and Sarasota’s Only AAA Four Diamond Award Restaurant, a distinction the restaurant has held for 27 consecutive years. Michael's On East has received the award of excellence for the Wine Spectator for over 25 years. Michael is also co-proprietor of Michael’s Wine Cellar and MichaelsWineCellar.com one of the most respected wine and spirits retailers in Florida and online. He has been a professional wine judge for over 30+ years, participating in extensive tastings around the world. Michael was also co-founder of regional chapters of La Chaine des Rotisseurs, Chevaliers du Tastevin and the Commanderie de Bordeaux. Michael has helped to establish the Sarasota area’s largest wine and food festivals, serves on the board for Visit Sarasota County and is co-founder of the Sarasota-Manatee Originals, a group of more than 50 independent restaurants throughout Sarasota and Manatee Counties which encourages everyone to “Eat Like A Local.” Residents of Downtown Sarasota, Michael and Terri frequently lend their talents, hospitality and support to local nonprofit organizations and enjoy being part of such a thriving cultural community. The Klaubers are personally involved as volunteers with numerous community organizations; however, their true passion is helping friends and clients discover a passion for the culinary heritage of the world’s most exotic food and wine destinations. 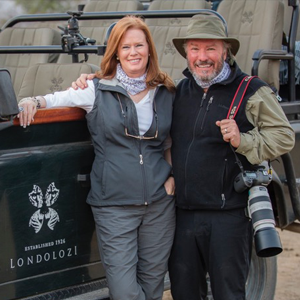 Join Michael and Terri on the Gulf Coast Connoisseur Club’s next journeys: Danube Discovery River Cruise (September 2016), The Wilds of Tanzania (June 2017) and A Taste of South Africa (June/July 2017). Wines from around the world hand-picked by Michael, a remarkable menu designed personally by Phil, a picturesque bayfront garden prepared to host an extra-special wine dinner.... In just a few weeks! All are welcome to join us for the highly-anticipated "Garden to Plate" Wine Dinner hosted by Nora & Billy Johnson and Jenny & Ken Pendery on Thursday, April 28 at Selby Gardens. Click here for details and reservations. Garden to Plate Wine Dinner Menu HORS D’OEUVRES Key West Pink Shrimp Tomato, Roasted Onion, Goat Cheese Open Faced on Sliced French Bread Conch Fritters FIRST COURSE Roasted Golden & Chioggia Beet Salad Gorgonzola Dolce Spuma & Pistachio Vinaigrette SECOND COURSE Porcini-Rubbed Adena Ranch Carved New York Strip Grilled Shiitake Mushrooms, Roasted Baby Peppers & Chimichurri & Lemon-Oregano Fingerling Potatoes DESSERT Dark Chocolate Raspberry Tart & Grand Marnier Anglaise Click here for tickets. $150 per person (includes full bar and wine pairings) Be sure to make your reservation now as space is limited. We look forward to hosting the Sarasota Guardian of Israel Award Dinner on March 17. Please RSVP to attend this great JNF event in support of Aleh Negev. ALEH Negev–Nahalat Eran The innovative ALEH Negev-Nahalat Eran Rehabilitation Village, located in Israel’s southern region, is a multifaceted facility that provides young adults with multiple disabilities the opportunity to live a rich and productive life within a safe environment. Click here to view a featured video. At a Glance: 190 residents Young adults-age 50, and highly dependent children 230 staff members 4500 outpatient treatments annually 175 volunteers + hundreds of visitors throughout the year At Full Capacity: 230 residents 230 staff members 12,000 outpatient treatments annually Unique Features: Assisted-Living Apartment Units Vocational Workshop Center High Dependency Hospital Center Hydrotherapy Pool Safari Petting Zoo Horseback Riding Track Dental Clinic specially adapted for people with disabilities Therapeutic Gardens A village in every sense of the word, the facility is currently home to over 140 young people who are encouraged to develop a greater degree of independence in order to become productive members of Israeli society. It provides a continuum of residential care for children with severe disabilities as they grow from adolescents into young adults, and empowers them to interact with the outside world, develop a greater degree of independence and live quality lives while realizing their full potential. Quality of life issues have also been taken into consideration. The Village features large parks and lounge areas for the residents to enjoy as well as plenty of grassy areas adjoining the living quarters. At full capacity, the Village will also provide much-needed outpatient services to the 12,000 children and young adults living in the surroundings areas who, until now, had to wait several months for therapy sessions in the existing local medical center or travel up to four hours to medical centers in the Tel Aviv area. ALEH Negev also provides jobs to hundreds of area residents in a variety of fields, including education, rehabilitation, maintenance, administration, medicine, supportive care and more. The Village includes onsite cutting-edge therapy frameworks including a state-of-the-art Hydrotherapy Pool, Safari Petting Zoo and Therapeutic Horseback Riding Track. A $42 million dollar project, ALEH Negev-Nahalat Eran has connected Israeli government ministries, foundations, philanthropists and individuals worldwide in a project creating hope and flourishing opportunities for integration, understanding and acceptance of people with disabilities within society at large. ALEH Negev is the only facility of its kind in Israel, and is being closely studied by experts from around the world as the paradigm of excellence in rehabilitative care. A National Project for the State of Israel ALEH Negev-Nahalat Eran represents a unique achievement for the State of Israel. Its cutting-edge concept – empowering adults with severe disabilities to interact with the outside world and enjoy a real quality of life – has set a new benchmark in the field of special education and attracted the attention of experts across the globe. In June 2003, the State of Israel recognized the importance of ALEH Negev by declared it a national project. The Israel Lands Administration designated an area of 25 acres for the project, and the project was overseen by the Southern Development Authority in coordination with the ALEH organization. At the groundbreaking ceremony on June 12, 2003, Prime Minister Ariel Sharon praised the establishment of ALEH Negev and commented: “The location of the village – the city of Ofakim and the regional council of Merhavim – is just a hint of the tremendous latent potential of the Negev, which David Ben Gurion foresaw as the future of the State of Israel. Every new project built here utilizes this potential and is an expression of its contribution to the development of the area, to an increase in professional manpower, and to the creation of further employment opportunities.” Nahalat Eran The chairman of ALEH Negev is Major General (Res.) Doron Almog, an Israeli military hero whose severely disabled son, Eran, was ALEH Negev’s first resident. Eran was the spirit and inspiration for the founding of the Village which provided him with so much joy and love. Following his untimely passing in February 2007, the village was renamed ALEH Negev-Nahalat Eran, as a tribute and legacy to this amazing young man. "Shortstop" Salmon Country-Style Grits, Roasted Pancetta, Sunburst Squash, Fennel Shrimp Bisque & Crispy Onion Straws As prepared by Michael’s On East Executive Chef Jamil Pineda and featured on the Baltimore Epicurean Adventure lunch menu at Michael’s On East throughout March 2016. This special menu honors the Baltimore Orioles' Spring Training season in Sarasota! For the Salmon and Squash 4 6oz Scottish Salmon 2 oz olive oil 1 cup of Sunburst Squash, cut in half Salt and Black Pepper to taste Method Preheat the oven to 350 degrees. Heat a medium sauté pan over medium high, add the oil. Season the salmon with salt and pepper and add to the pan (top down), and sear for one minute. Flip the salmon and add the sunburst squash around the salmon. Finish in the oven by cooking for four minutes. Set aside until the dish is ready to be plated. For the Roasted Pancetta 1 lb Pancetta, diced into ½ inch chunks Method Preheat the oven to 400 degrees. Line a baking sheet with culinary parchment paper. Lay the pancetta on the paper. Bake 10 minutes or until desired crispness. Remove from the oven and place on paper towels to absorb any extra grease. Set aside until the dish is ready to be plated. For the Onion Straws 8 oz thinly sliced Yellow Onions, using a slicer or mandolin 1 cup Wondra Flour Salt for seasoning Method Dredge the raw onion rings in Wondra flour. Shake off excess flour and fry until golden, season with salt, as desired. Set aside until the dish is ready to be plated. For the Grits 4 cups Chicken Stock 3/4 teaspoon Coarse Kosher Salt 4 oz of Unsalted Butter 1 cup Coarse Stone-Ground White Grits 1 cup Whole Milk 1 cup of Grated Parmesan Method In a heavy saucepan, bring the chicken stock, salt and 2 oz of butter to a boil. Next add the grits gradually, stirring constantly with a fine wire whisk or wooden spoon. Reduce heat and simmer, covered, stirring frequently, until liquid is absorbed and grits are thickened, approximately 15 minutes. Stir in 1/2 cup milk and simmer, partially covered, stirring occasionally to keep grits from sticking to bottom of pan, approximately 10 minutes. Stir in remaining 1/2 cup milk, cheese and rest of the butter. Simmer, partially covered, stirring occasionally, until liquid is absorbed and grits are thick and tender, approximately 35 additional minutes. Grits will have a soft, mashed-potato-like consistency. Set aside until the dish is ready to be plated. For the Shrimp Bisque 4 tablespoons (1/2 stick) Unsalted Butter, divided 1 1/2 pound Medium Shrimp (about 45), peeled, deveined, shells reserved 2 Bay Leaves 1 Fresh Fennel 2 Carrots, peeled, chopped 2 Celery Stalks, chopped 1 Medium Onion, chopped 1/2 cup Brandy 1/4 cup Long-Grain White Rice 2 tablespoons Tomato Paste 3 sprigs Fresh Flat-Leaf Parsley 3 sprigs Fresh Thyme Kosher Salt and Freshly Ground Black Pepper 1/2 cup heavy Whipping Cream 3 tablespoons Fresh Lemon Juice 1/4 cup finely Chopped Fresh Chives Method Melt 1 tablespoon butter in a large heavy pot over medium-high heat. Add shrimp shells and cook, stirring frequently, until they begin to brown, about 5 minutes. Add 1 bay leaf and 8 cups water. Simmer uncovered for 25 minutes. Set a fine-mesh strainer over a large bowl. Strain, discarding solids. (Shrimp stock can be made 3 days in advance.) Allow to cool slightly; chill uncovered until cold, then cover and keep chilled. Melt 1 tablespoon butter in a large heavy pot over medium heat. Add shrimp and cook, stirring occasionally, until just opaque in center, approximately 3-4 minutes. Add remaining 2 tablespoons of butter. Add carrots, celery and onion and cook over medium heat, stirring frequently, until very soft, about 20 minutes. Remove pot from heat and add brandy. Return pot to heat and stir until almost evaporated, about 2-3 minutes. Add rice and tomato paste and stir for 1 minute. Add shrimp stock, remaining bay leaf, parsley, thyme, and 1/4-teaspoon cayenne. Simmer uncovered until flavors meld and rice is soft, about 20 minutes. Season with salt and pepper, and stir remaining shrimp into bisque. Remove parsley, thyme and bay leaf. Working in batches, purée bisque in a blender until smooth. Pour through a fine mesh strainer and set over a clean pot. Discard solids in strainer. Stir in cream and reheat bisque over medium heat. Add lemon juice then season to taste with salt and pepper. To Plate In a pasta bowl, ladle 4 oz of bisque, add two tablespoons of grits in the middle of the bowl, place the salmon on top of the grits. Place the pancetta and sunburst squash around the salmon. Garnish with onion straws and micro greens. 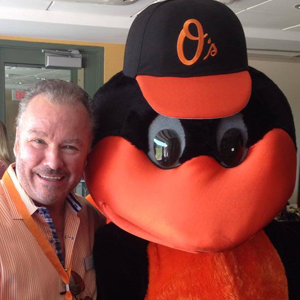 In celebration of the Baltimore Orioles’ spring training season in Sarasota, Michael's On East is once again bringing back a “Crackerjack” Epicurean Adventure in March 2016. DINNER MENU STARTERS Camden Yards Grilled Bratwurst Sliders Moroccan BBQ Pork Belly, Caramelized Onion & Roasted Red Pepper Relish & Crispy Potato Allumettes Lady Baltimore Blue Crab Chowder Tomato Broth, Blue Crab, Root Vegetables & Sweet Corn DINNER ENTREES Pan-Roasted Scottish Salmon Country-Style Grits, Roasted Pancetta, Sunburst Squash Fennel Shrimp Bisque & Onion Straws Fig & Espresso Braised Kobe Short Ribs Roasted Heirloom Carrots, Sautéed Rainbow Swiss Chard, Parsnip Purée & Chive au Jus MLB Home Run Brick Cornish Hen Sautéed Spicy Tasso Ham, Farro Piccolo, Black Rice & Scallions, Curried Apples & Pomegranate Citrus Gastrique DESSERT Home Plate Chocolate & Peanut Butter Mousse Roulade Brulee Banana & Concord Grape Syrup Ball Park Sundae Porter Ale Ice Cream, Chocolate-Covered Pretzels & Black Pepper Whipped Cream LUNCH ENTREES Keith Soft Shell Crab BLT Spicy Remoulade, Beefsteak Tomatoes, Three-Pepper Applewood Bacon, Baby Lettuces, on Eleven-Grain Bread, Served with Grain Mustard Slaw Chesapeake Fried Chicken Sautéed Garlic-Scented Rainbow Swiss Chard, Spicy Tasso Ham, Farro Piccolo, Sweet Corn, & Pickled Spring Vegetables DESSERT Home Plate Chocolate & Peanut Butter Mousse Roulade Brulee Banana & Concord Grape Syrup Ball Park Sundae Porter Ale Ice Cream, Chocolate-Covered Pretzels & Black Pepper Whipped Cream The celebrated restaurant will offer a three-course dinner menu featuring dishes inspired by the “Charm City” for only $34.95 per person as well as two-course Power Lunch version which includes a choice of entrée and dessert for only $18.95 per person. For a “Grand Slam” culinary adventure, guests are encouraged to add wine pairings for only $10 during dinner or $5 during lunch. Michael’s Epicurean Adventures present culinary journeys to a new destination each month. The Baltimore Epicurean Adventure dinner menu will be available Monday through Saturday, March 1-31. 2016. The two-course lunch offering is available Monday through Friday, 11:30 a.m. to 2 p.m. Baseball fans are invited to make restaurant reservations, by calling 941-366-0007, ext. 224 or clicking here for online reservations. 27th Consecutive AAA Four Diamond Award! What an honor to be recognized as the "best restaurant in Sarasota" - again! 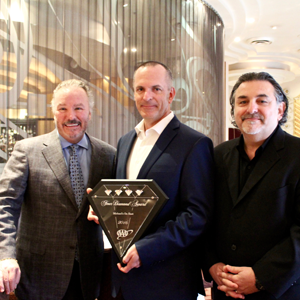 Michael's On East Co-Proprietors Michael Klauber and Phil Mancini accepted the restaurant's 27th consecutive AAA Four Diamond Award from AAA's Don Schwartz yesterday morning. “It’s hard to believe we are accepting this prestigious award for the 27th consecutive year! We truly value this important distinction from AAA,” said Michael. “We’re incredibly thankful for the opportunity to continue delivering culinary and service excellence to Sarasota residents, businesses, nonprofit organizations and visitors for nearly three decades. It is the enthusiastic support of our clients, community and internal team which makes leading our organization such a pleasure and motivates us to strive for even greater excellence each year.” Michael’s On East is the only Four Diamond Award restaurant in Sarasota, and one of only 24 restaurants across the United States and Canada that have held the Four Diamond status for 25+ years! We snapped another photo yesterday morning when Don Schwartz of AAA stopped by the Restaurant to present Michael and Phil their newest accolade! The AAA Diamond Rating Process is North America's premier restaurant rating program, performed each year by professionally trained evaluators from AAA's national headquarters. AAA defines a Four Diamond restaurant as being geared to individuals in search of a distinctive fine-dining experience. Often orchestrated by an executive chef and an accomplished staff, menus reflect a high degree of creativity and complexity, using imaginative presentations to enhance high quality, market-fresh ingredients. The equally proficient service staff demonstrates a strong desire to meet or exceed guest expectations. A wine steward is typically available to provide menu-specific knowledge on wine selection. The ambiance is highly refined, comfortable and well-coordinated, incorporating quality materials and a variety of upscale design enhancements to give a first-class impression. There are no payments or membership dues associated with the AAA rating system to ensure objective and trusted reviews. UPDATE (2/22/16): Please note the "Garden to Plate" Wine Dinner at Selby Gardens has been postponed due to weather. Please visit www.selby.org for more information about additional events. Garden to Plate Wine Dinner Menu HORS D’OEUVRES Key West Pink Shrimp Tomato, Roasted Onion, Goat Cheese Open Faced on Sliced French Bread Conch Fritters FIRST COURSE Roasted Golden & Chioggia Beet Salad Gorgonzola Dolce Spuma & Pistachio Vinaigrette SECOND COURSE Porcini-Rubbed Adena Ranch Carved New York Strip Grilled Shiitake Mushrooms, Roasted Baby Peppers & Chimichurri & Lemon-Oregano Fingerling Potatoes DESSERT Dark Chocolate Raspberry Tart & Grand Marnier Anglaise Click here for tickets. $150 per person (includes full bar and wine pairings) Be sure to make your reservation now as space is limited. As prepared by Michael’s On East Executive Chef Jamil Pineda and featured on the French Epicurean Adventure lunch menu at Michael’s On East throughout February 2016. Serves 4 For the Salmon 4 7oz Scottish Salmon 2 Tablespoon of Freshly Ground Black Pepper Kosher Salt 3 oz Olive Oil Method Preheat the oven to 350 degrees. In a sauté pan over medium high, add the oil and heat until it begins to smoke. Season the salmon with salt and crust the top with black pepper. Place the salmon with crust down on the pan and cook for 1 minute. Turn the salmon and finish cooking in the oven for 4 minutes (for a medium temperature). Set aside the salmon until the dish is ready to plate. For the Roasted Fingerling Potatoes 1 lb. Fingerling Potatoes, Thinly Sliced Lengthwise (about 1/8-inch thick) 3 Tablespoon Olive Oil 1 1/4 Teaspoon Kosher Salt 1/2 Teaspoon Freshly Ground Black Pepper Method Position a rack in the center of the oven and preheat the oven to 425 degrees. Line a large, rimmed baking sheet with parchment paper or aluminum foil. In a large bowl, toss the potato slices with the oil, salt and black pepper; then spread the potatoes flat on the baking sheet. Bake the potatoes, turning after 10 minutes, until they brown and start to crisp, approximately 25 to 30 minutes. Set aside the potatoes until the dish is ready to plate. For the Citrus Beurre Blanc 1 Shallot, Minced 1 Cup White Wine 3 oz Champagne Vinegar 1 Cup Heavy Cream 1 lb Unsalted Butter, cut into cubes 4 oz Key Lime Juice Salt and Pepper to taste Method In a sauté pan, simmer the shallots, wine and vinegar, until reduced. Add cream and cook until thickened. Incorporate the butter with a whisk until fully emulsified. Season with salt and pepper to taste, add the key lime juice, stir and simmer for 2 minutes. Set aside until the dish is ready to plate. For the Fennel-Onion Confit 2 Medium Fennel Bulbs 1 Medium Spanish Onion ½ Cup Olive Oil ¼ Teaspoon Fresh Crack Black Pepper ¼ Cup Vegetable Stock Kosher Salt to Taste Method Slice the fennel and onion vertically into long strips, approximately 1/2 -inch thick. In a large heavy pan, heat the olive oil. Add the onion and sauté‚ over medium-high heat until it begins to brown, approximately 5 minutes. Reduce the heat to low. Add the fennel, salt and pepper. Partially cover the pan with a lid. Stir once or twice, adding the stock and cook until the fennel is soft and brown, and the onion slightly caramelized, approximately 15 minutes. Remove the fennel-onion mixture from the heat and set aside until the dish is ready to plate. To Plate On a plate of your choosing, place a small ladle of beurre blanc and spread all around the plate covering the inside the rim. Place a portion of the fingerling potatoes in the middle of the plate, add the salmon on top of the potatoes. Top with the fennel-onion confit and garnish with micro greens, if desired. Serve and enjoy! “Don't miss the lobster pot” Dined on January 1, 2016 / OpenTable Review The lobster pot dinner on Fridays is well prepared and an excellent value. “Great Find” Dined on January 7, 2016 Very good menu selection, excellent food quality and taste. Our server Jason was very knowledgeable and attentive James the sommelier gave us excellent wine advice and finally Michael, the owner makes sure he shares few minutes at every table. "Excellent food, superb wine list." Dined on January 9, 2016 / OpenTable Review I took my husband to Michael's for his birthday.We had the best meal we've eaten in many years.We shared Hoisin duck and vegetable rolls and a Michael's salad as appetizers. Delicious. For entrees: my husband had the prime rib - and proclaimed it the best he'd ever had. I had the lemon-grass grilled tuna, which was also delicious. The restaurant surprised us with chocolate cake for dessert - I thought I was too full to eat anything else - but managed to 'force down' a few mouthfuls of a very tasty dessert! Michael's wine list is incredible - by far the most extensive we've seen since we moved from London. It took several minutes just to examine the various varieties of wine on offer - and the inclusion of wines from South Africa and Argentina, as well as an excellent selection of French and US labels, was most impressive.We had a glass of Roederer champagne to begin, then I had a glass of Ramey chardonnay and my husband had Franciscan cabernet. The bill was pricey - but we had expected that, and felt that we definitely received value for money. The service, Kevin was our waiter, aided by Devin, was also excellent - efficient but not overly obtrusive. We will most definitely be back!! (as soon as our credit card recovers!). “Wonderful special occasion dining experience” Dined on January 15, 2016 / OpenTable Review We planned this for a special birthday and it was.We dined on a Friday evening and were able to enjoy a lovely Lobster Pot dinner. My husband ordered the duck which was done to perfection. He said it was prepared exactly as duck should be. Overall a lovely evening made memorable by the attentive staff and exceptional dining. “5-Star Excellence” Dined on January 16, 2016 / OpenTable Review Never disappoints! The food is always exceptional and the staff knowledgeable and ready to please. We ordered their monthly "epicurean" special and it was outstanding. If you've never been, what are you waiting for?! French Cuisine in February Michael’s Epicurean Adventures present culinary journeys to a new destination each month. 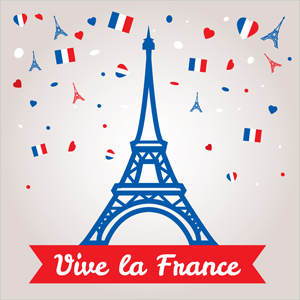 Throughout February 2016, the culinary team at Michael’s On East invites guests to take an “Epicurean Adventure” to one of the most romantic countries on the globe: France. Note: Epicurean Adventure menus are NOT available on holidays including Valentine's Day. For reservations, please call 941-366-0007, ext. 224 or click here to make reservations online. 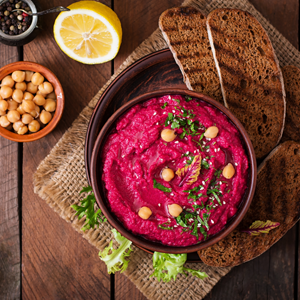 French Cuisine in February Michael’s Epicurean Adventures present culinary journeys to a new destination each month. Throughout February 2016, the culinary team at Michael’s On East invites guests to take an “Epicurean Adventure” to one of the most romantic countries on the globe: France. 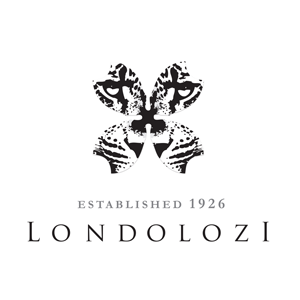 “We’ve helped guests enjoy delectable journeys ‘to’ South Africa, India, Peru, Asia and beyond. For years now we’ve been featuring monthly special menus which challenge our culinary team to create and deliver all types of cuisine from around the world through our Epicurean Adventure menus. However, each February we focus on France,” said Michael Klauber, co-proprietor of Michael’s On East. “It’s a natural choice for this romance-inspired month and I personally enjoy bringing together several of my personal loves: old world wines from Bordeaux, Rhone Valley and Languedoc paired with classic French cooking techniques.” Chef Jamil and Chef Catherine will be releasing this special menu in the coming days! 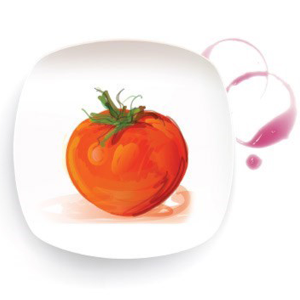 Check back soon to view the complete French Epicurean Adventure menus available this February. 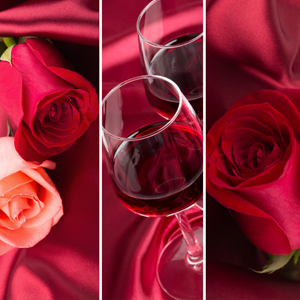 Note: Epicurean Adventure menus are NOT available on holidays including Valentine's Day. For reservations, please call 941-366-0007, ext. 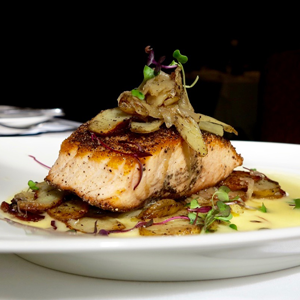 224 or click here to make reservations online. Recently, a group of well-known "foodie" judges sampled unique kale salads from several of the Sarasota area's best restaurants. 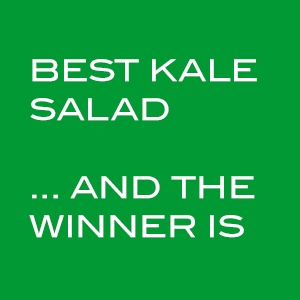 The panel of expert tasters set out on a mission to find Sarasota's best kale salad and report back to readers of Sarasota Magazine. Click here to read the article and complete results. The highlight: Michael's On East took home the top honors! Talk about a power flavor combo: Kale and Brussels sprouts are tossed with toasted walnuts, pecorino cheese, dried cranberries, sunflower seeds and Granny Smith apples, then coated in a flavorful but not overpowering lemon-mustard vinaigrette. Despite an afternoon of eating kale, our judges asked for seconds. The unanimous favorite. 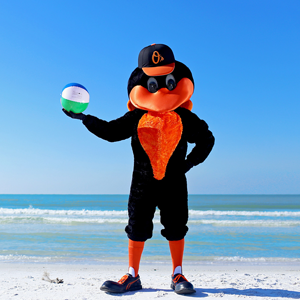 Planning An Orioles Spring Training Trip? Join us at Michael’s On East as our culinary team salutes Baseball in Sarasota with Baltimore Epicurean Adventure honoring the Orioles' Spring Training Season in the Sunshine State. In celebration of the Baltimore Orioles’ spring training season in Sarasota, Michael's On East is once again bringing back a “Crackerjack” Epicurean Adventure in March 2016. Chef Jamil and Chef Catherine are currently working to perfect their Baltimore-inspired dishes, but we hope baseball fans are marking their calendar now and planning to join us for lunch and dinner during your spring training vacations. The celebrated restaurant will offer a three-course dinner menu featuring dishes inspired by the “Charm City” for only $34.95 per person as well as two-course Power Lunch version which includes a choice of entrée and dessert for only $18.95 per person. For a “Grand Slam” culinary adventure, guests are encouraged to add wine pairings for only $10 during dinner or $5 during lunch. Michael’s Epicurean Adventures present culinary journeys to a new destination each month. The Baltimore Epicurean Adventure dinner menu will be available Monday through Saturday, March 1-31. 2016. The two-course lunch offering is available Monday through Friday, 11:30 a.m. to 2 p.m. Baseball fans are invited to make restaurant reservations, by calling 941-366-0007, ext. 224 or clicking here for online reservations. Ladies and Gentlemen! Please step right up for an evening of exquisite circus-themed dining from Michael's On East, live music, Feld Entertainment productions and so much more! Join the American Cancer Society "under the big top!" on Saturday, February 27. 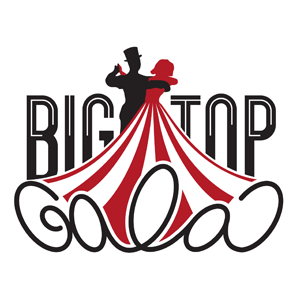 Click here for more details about this spectacular Big Top Gala. The American Cancer Society is the nationwide, community-based, voluntary health organization dedicated to eliminating cancer as a major health problem by preventing cancer, saving lives and diminishing suffering from cancer through research, education, advocacy and service. Together with our millions of supporters, the American Cancer Society saves lives and creates more birthdays by helping people stay well and get well by finding cures and by fighting back. Click here to learn more about the American Cancer Society. Click here to view more events in Sarasota, from monthly Open House Wine Tastings, Wine Dinners and Whiskey Tastings at Michael's Wine Cellar, to the community's best galas and festivals. 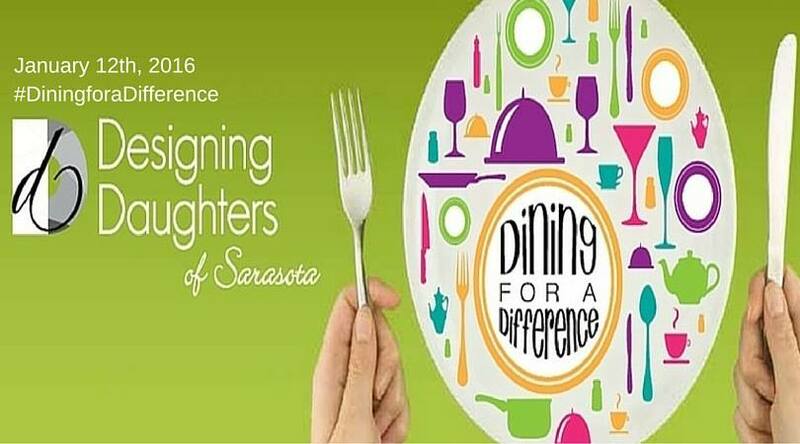 Dine out for a great cause at participating locally-owned Sarasota and Manatee restaurants TONIGHT as part of Designing Daughters' Dining for a Difference! A portion of all proceeds from your food and beverage purchases will help fund grants to local charities. Gather all of your friends, select a restaurant of your choice (Michael's On East, of course! ), and make a reservation - It's that simple! 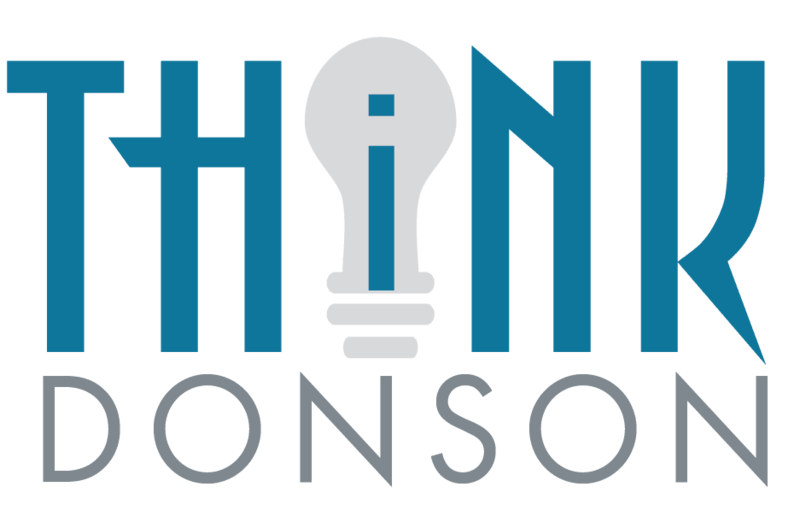 Click here to learn more about Dining for a Difference. Click here to make a restaurant reservation at Michael's On East. Designing Daughters of Sarasota enhances our community and cultivates the next generation of philanthropists through strategic granting.